THE TWELVE DAYS OF CHRISTMAS, AoMH style. The days being completely arbitrary. The shots will not necessarily have a Christmas theme. Well to kick off our series we delve into the realm of champions of the Continuous Screenshot Competition. 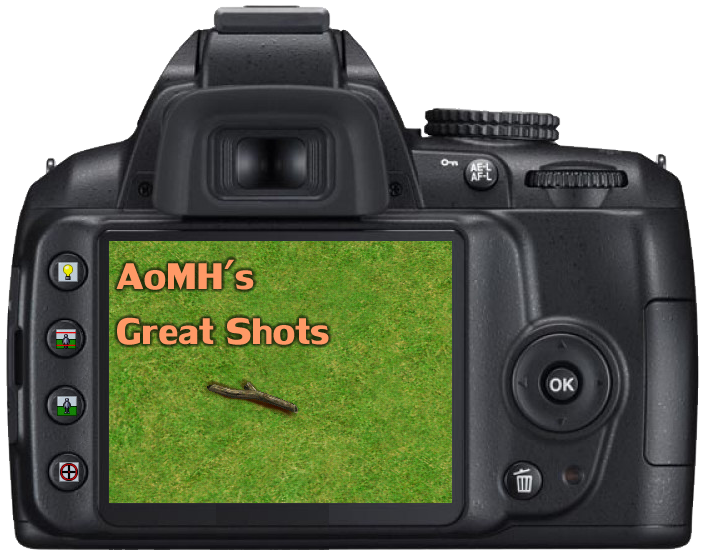 Having long been a pleasure to host, some of the best AoM screenshots of all time have been created for this series of threads. I loved this shot from relicradar for the In the mountains theme as it is perhaps the most photo-realistic screenshot I have ever seen. View this in full screen glory and even then it is really hard to tell if you are looking at a screenshot or a photo. This shot exemplifies the lighting and landscape mood balance that relicradar is renowned for and starts this thread off in style. Next we depart thoroughly from Christmas and journey to the warm arid lands of Babylon. Here a massive eyecandy monolith almost touches the sky. This was created by expert eyecandier The_Vandhaal, and completely dwarfs a titan. The best part about this work of art is that it is also a puzzle scenario! Clever game play surrounds the mysteries of the tower - so this is one of the few eyecandy spectacles you are able to totally immerse yourself in. The scenario is stunning in its own right, and rightfully found in the downloads spotlights. This shot was created by SwordOfValor as part of the first screenshot tournament; a competition that saw eyecandiers go head on in elimination battles. This was a winning shot in the semi-finals for the hunting theme, and SOV proceeded to win the tournament. This shot uses incredible tricks to be a truly immersive spectacle. SOV was known for being an expert at a wide variety of eyecandy - large buildings, dramatic landscapes and light tricks were often all mixed together. It's certainly difficult to choose from the plethora of beauty which Elrich has produced over his years with us. The HTML wizard had won many rounds of the CSC and the second screenshot tournament. This shot has so many clever elements combined into one at a time when the trick repertoire of eyecandiers was greatly expanding, and Elrich often used crafty camera angles to make you think 'how the hell did he do that?'. The screenshots have all been fantastic so far. Is Elrich’s shot an under the map shot? I think I remember some discussion about it in a CSC thread. This great shot by Necr0maNceR has been beautifully crafted from a birds-eye perspective. The use of objects used to build the characters and their clothes rightfully won this round in the CSC. It is rare to see creatures constructed from objects look good, and here even terrain is used to bring life into the creation. The size of the objects in the shot is difficult to tell, but the only thing that cannot be enlarged is the mirror tower glow effect which helps to give an idea of scale. The old Arunachal trading route by Lupus won the 'India' themed round in the CSC. Lupus usually creates vast dramatic landscapes for his screenshots, and the detail you can find within them is a pleasure to behold. I feel this shot may have been more of a challenge to create, stepping away from the usual style of a dominant building/silhouette. The perspective in the screenshot is bang on with the elephants meandering across the sunken river path and lots of detail nicely mixed together in the jungle areas. This screenshot is probably going to predate every other one in this series. It predates my membership but I still remember lurking and browsing through the downloads section, this shot was on the front page/in the news for a time and had quite an effect on the AoMH community. Swift Sampson created this shot, and it even predates the CSC! There's wonderful atmosphere and suspense, I feel many screenshot artists will have seen this shot and taken some inspiration from it. The good ol' days of Hocus Pocus have certainly produced quite a number of fantastic shots. Many years ago a forummer by the name of Eurotool was quite known for his artistic talent, both inside and outside of the editor. A repeating theme that you seem to see in his shots is the use of one object to represent another. I specifically chose this shot because it actually moves away from that concept, and you get to see something quite good that is just simple enough to be inspiring to the amateur artist. Considered a rare type of shot from him. I love the use of the Hero Glow in this. A dramatic shot created in the later rounds of the fifth screenshot tournament by HailToTheOboe. This documents Hannibal crossing over the alps in beautiful fashion. The use of hero glow, mist effects and the sky all bring it together to a point where it is very easy to imagine the howling cold wind. The war elephants fit in very well here to tell the historic tale despite being Egyptian units at home in the deserts. Hail went on the claim second place in the final round. We've seen a lot of shots from Xzaander over the years, all of which are of outstanding quality. He has won a Hocus Pocus, and although this is not the first place shot from that year, I prefer this 2nd place one simply because of that phenomenal structure. Using Thor hammers as bricks is an old school method that pops up every once in a while, and always looks good when done right. I also can't get enough of that perfectly spiral cliff. We all know how finicky that cliff tool can be in the editor . Also known as SirThobus, although he's not around much anymore, the quality of his creations have immortalized him. Tag you didn't update the main post. The code in the main post is much too extravagant for me to meddle with. Dynamic lightning, the concept that was mostly speculation before the Extended Edition, almost seems to be present here, with the bright orange colors and vibrant yellow tones. What I also find intriguing is the house on the right. Even though fixed on the ground, the illusion of being thrown is perfect, as is the overall sense of movement in the entire shot. Have always loved these kinds of action shots. A quality forummer and inventor from way back when, lostrozzacavalli nailed it on this one. A great shot series cannot be completed without Oscar. 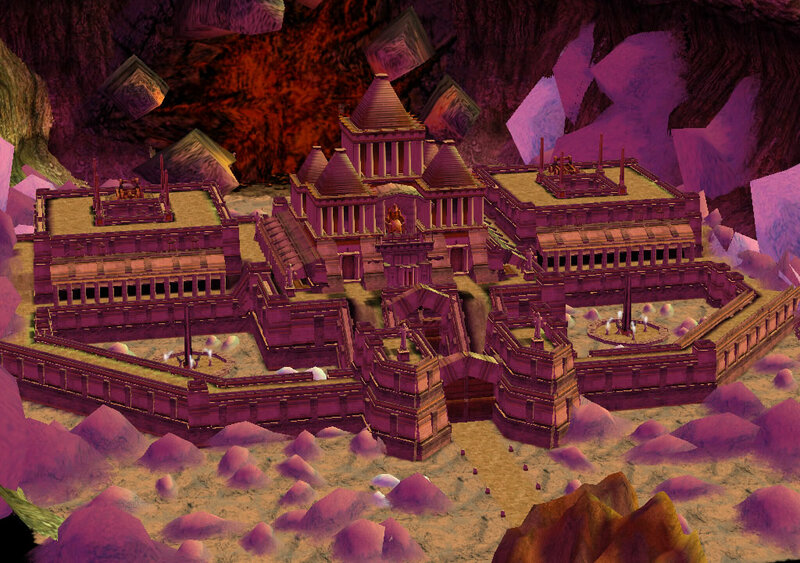 The legendary eyecandier has created multiple monolithic buildings, frequently in his varied scenarios which can all be explored and played in. I chose this one from The Guardians campaign where the people of the twilight lands created a fortress to prevent evil coming through from hell. It is a mighty construct with layers, perfectly aligned buildings and objects topped off by a stunning yet ominous backdrop. Whatever horrors the new year throws at you, may your metaphorical fortress remain standing. We hope you approve of our selection! This festive treat has rightly garnered a good few pageviews, so an extra special thanks to all those artists past and present, as well as those sadly unable to be featured this time. So where to from here? If you enjoyed this series we can always do more. If people are inspired and want to delve back into the editor, we are more than happy to host another screenshot tournament or reopen the CSC. Many happy returns for 2019.